Kingdom Economics | Kingdom Economics -The Future Is Now. Given that today is a Holiday of introspection for many believers, let’s think on this concept of who rules this planet. Do politicians rule? Do elected leaders such as Putin, Trump, Jinping, Erdogan, Modi, May, or Maduro rule (ultimately) over the people? What about this servant prophet called Yeshua (Jesus) who is now living at the right-hand side of our Creator? 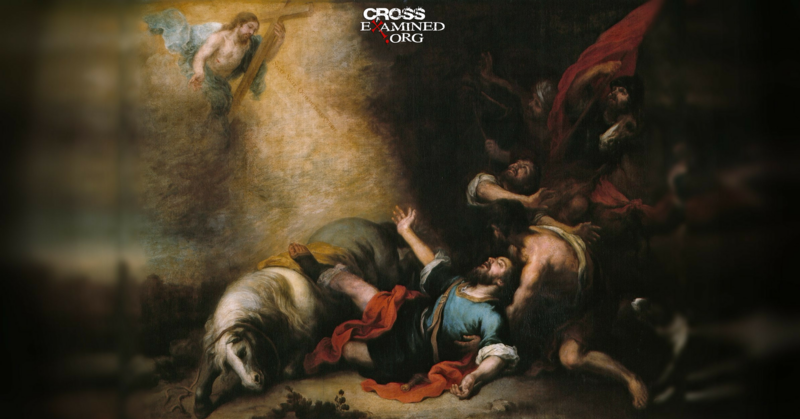 Is Yeshua a servant or Lord of the Universe? I am the first and I am the last; besides me there is no God or Lord. Who is like me? Let him proclaim it. Who has announced from of old the things to come? Let them tell us what is yet to be. I form light and create darkness, I make weal and create woe, I am the Lord, Jehovah God. Woe to him who strives with his Maker, an earthen vessel with the Potter! Does the clay say to him who fashions it, What are you making? I made the earth, and created man upon it; it was my hands that stretched out the heavens. For thus says the Lord, Jehovah God, who created the heavens (I am God!). I am the Lord and there is no other. 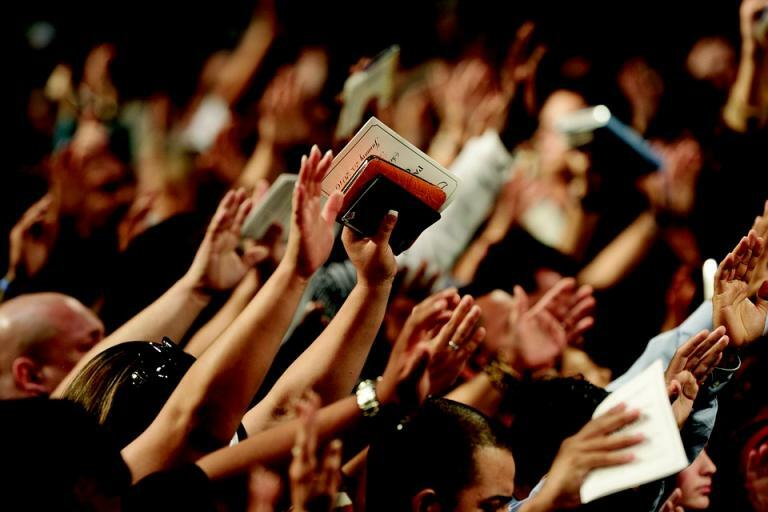 Assemble yourselves and come, draw near together, you survivors of the nations! Declare and present your case; let them take counsel together! Who told this long ago? Who declared it of old? Was it not I, the Lord God. Turn to me and be saved, all the ends of the earth! For I am God and there is no other! I am God and there is none like me, declaring the end from the beginning and from ancient time things not yet done, saying ‘My counsel shall stand, and I will accomplish all my purpose, I have spoken, and I will bring it to pass; I have purposed, and I will do it’! Comment: The words are rather clear to me. Jehovah God is a Singularity who rules over this planet and creates all events (ultimately). I am clay and my Potter is in charge (ultimately). My/your destiny from birth to death is apparently determined. I apply this eschatology to everyone as it seems real to me. As human beings we all live ‘at effect’ (so it seems). We can not change what is determined from the Throne Room in the heavens. We all must accept that which is Providential! Today, I will reveal my personal beliefs on this history called the ‘life of Yeshua’ (Jesus in our English culture). 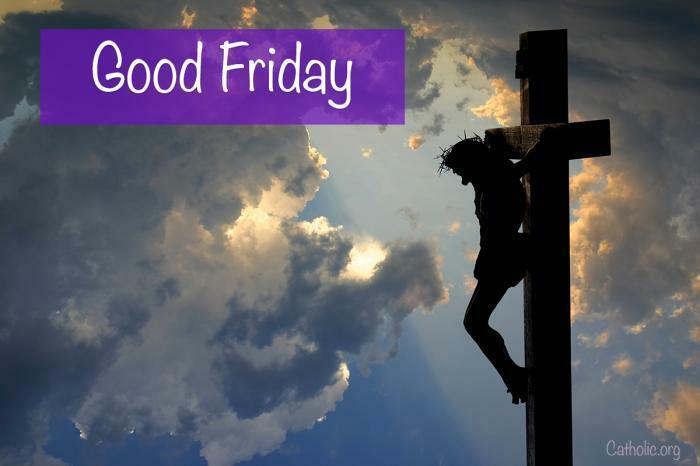 Today is Good Friday, April 19, 2019. It is now nearly 2,000 years since Yeshua’s death at Golgotha (outside Jerusalem) around 31 A.D. The pagan holiday of Easter has been celebrated since the 7th century and it continues to attract believers to this day. Bunnies and Easter eggs are prevalent for these believers (along with the Christian myths which promote ‘idolatry’ IMO for some 2.1 billion believers). Easter, which celebrates the resurrection from the dead of Yeshua (called Jesus), is a holiday actually based on an ancient Pagan ritual. Unlike most holidays, Easter does not fall on the same set date each year. Instead, Christians in the West celebrate Easter on the first Sunday after the full moon of the vernal equinox on March 21. Therefore, Easter is celebrated each year between March 22 and April 25. The exact origins of Easter are unknown, but some sources believe that the word “Easter” is taken from the Teutonic goddess of fertility and spring – Eostre. Easter has also been traced to the Latin words Hebdomada Alba – meaning white week – referencing Easter week in which white clothing is worn by people who get baptized. I do believe that Yeshua was a real human being who lived on our planet for some 35 +- years (say from 4 B.C. to 31 A.D.). He did preach a gospel message for some 1 -3 years about his God called Yahweh (Jehovah) which he called the Kingdom of his God and/or the Kingdom of Heaven. Yeshua was a political person in that he desired changes to the historical narrative of Judaism. His core message was that his God (called Yahweh in Hebrew and/or Jehovah in English) rules over planet Earth and should rule over all serious believers. The idea that a hierarchy of elites within the Sanhedrin should rule and impose mandates on believers was rejected. His idea was that he (plus anyone who was ‘born again’) could go directly to his spiritual Father (Yahweh) for a relationship. The hierarchy of the Temple and the Sanhedrin was not valid for real ‘born-again’ believers. Yeshua was rejected by those elites within the Sanhedrin/Temple and turned over to Pontius Pilate for sentencing. The result was a sentence of death at Golgotha. According to the canonical gospels, Jesus was arrested and tried by the Sanhedrin, and then sentenced by Pontius Pilate to be scourged, and finally crucified by the Romans. He was then hung between two convicted thieves and, according to the Gospel of Mark, died some six hours later. During this time, the soldiers affixed a sign to the top of the cross stating “Jesus of Nazareth, King of the Jews” which, according to the Gospel of John, was written in three languages. Immediately at the point of death his ‘spirit’ left his body and Yeshua was then ‘glorified’ (made a ‘spirit’ being) by his God (Yahweh/Jehovah/Father) IMO. This concept of ‘spirit’ needs to be understood. In reality, each of us is a ‘spirit’ being and at the moment of physical death this ‘spirit’ gets glorified (if a person is ‘born again’). This ‘glorification’ is not the same as this concept called ‘resurrection’ of the body. The idea that the mangled (spear in the side body) of Yeshua was later resurrected (bodily) after some three days in the grave is totally anathema to common sense IMO. It is also totally impossible scientifically (given today’s knowledge). The theology of bodily resurrection I find as implausible and mythological. It did not happen as my Christian friends assume. 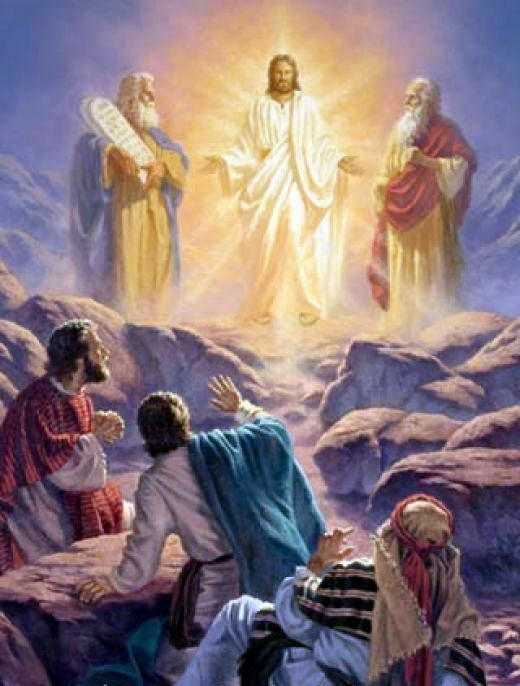 What really happened is that Yeshua was ‘glorified’ (immediately at the point of physical death) and then his ‘spirit’ appeared to select followers in vision form. We need to recognize that the human mind (spirit) can entertain visionary images from the spiritual realm (then and now). Peter saw the ‘glorified’ image of Yeshua after his passing and so did others (James, John, Mary, and later Paul of Tarsus). The visionary image of Yeshua can be experienced today if Yeshua chooses to ‘appear’ to the inner ‘spirit’ of a born again person. So where is Yeshua as of today/now? My sense is that this ‘glorified’ person (a real historical human person who lived on planet Earth some 35+-years) is now residing at the ‘right-hand’ side of his (our) Father (Yahweh/Jehovah) who lives within us (called the spiritual realm). Each of us is actually part of a dual nature which includes the physical body/brain and the non-physical mind/spirit. It may be necessary for one to be ‘born-again’ to actually discern these realities. For me, this is obvious as I live within my inner self and observe via my inner spirit consciousness. I assume that you are capable of doing likewise. So is Yeshua God? Absolutely not. Is he a High Priest at the right-hand of Jehovah God? I would suggest, yes. Is Yeshua EQUAL with the Father (Jehovah/Yahweh God). Absolutely not. Jehovah God is a Singularity who sits on the Throne of our inner universe and rules the entire physical and metaphysical universe. Hear O’ Israel, the Lord our God is One God (not three or some Trinity). A human being (like the historical Yeshua can not be our Creator God. This is absurd and this belief that Yeshua is God (was God) is also false theology IMO. Yeshua never desired to be our Creator or our God. Scripture is clear on this. Read the narrative of this person who lived (as a human being) for some 35 +- years. This person was circumcised after his birth. He was dedicated to the God of his parents at the Temple in Jerusalem. He was baptised (suggesting his imperfection). The God of Israel was this invisible spirit being called Yahweh and/or Jehovah. The idea that a chosen messenger/prophet/servant of Yahweh was EQUAL with this God of Israel is not valid theology IMO. 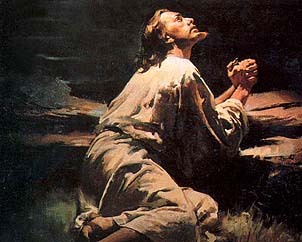 Yeshua prayed to Yahweh not to himself. Think logically to discern the humanity and subservience of this servant of Jehovah God. Good Friday and Easter are mostly PAGAN holidays which promote idolatry for real believers in our Creator God. Our Creator God is not some prior human being (a prior person composed of flesh/blood). Our Creator God is not made of flesh and blood. Our Creator God is not visible or observable to the bodily eye. Our Creator God rules over my/your inner self (our spiritual self). The reality is that WE (you and I) are spirit beings (living in a body of matter/energy). Evidence for our spiritual nature is our WORDS. Words derive from our spirit MIND. The idea that my brain originates my WORDS is ridiculous IMO. My WORDS and your WORDS are spirit phenomena. That is my belief. I live within TWO realms. I propose that you do likewise. Get real and wake up to the reality that life is mostly a spiritual experience and we all operate ‘AT EFFECT’. We are servants of higher spiritual powers which work THROUGH us. Good Friday is a great day to reflect on these common sense realities IMO. Have a great day. Easter and Good Friday are PAGAN holidays (to me). 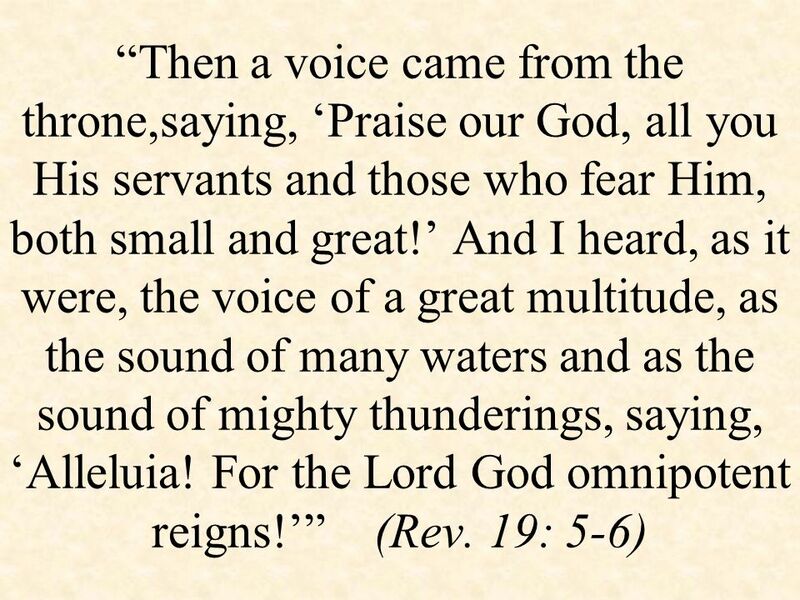 The real message GOSPEL of Yeshua (Jesus) IMO was the KINGDOM OF HIS GOD (the singularity within us). America was FOUNDED upon a Creator God (this same SINGULARITY which ruled over Yeshua back in his lifetime). America and all Nations could be ONE planet under this Creator God. We would then experience REAL freedom and prosperity for the 7.6 billion on this planet. My view of reality for each of you to contemplate. The invisible Jehovah God on his spiritual Throne (within us)! Today’s Wall Street Journal had an article by Mr. Herman Cain, Trump’s proposed candidate to join the Fed, on issues of economic policy. Let’s think about this viewpoint of Mr. Cain and his idea that we need a commodity standard to stabilize the American dollar. Does Mr. Cain understand our current real-time marketplace? Mr. Cain claims that our current Fed follows the ‘Professor’s Standard’ for managing the American Dollar. This Professors Standard does not seek out real-time market conditions but looks mostly at lagging indicators to make policy decisions. He blames the Fed for acting to late after a crisis and this creates unnecessary volatility and instability within all our markets. Mr. Cain says “after June 2008, the dollar’s skyrocketing commodity value was screaming that there was a sudden, huge, global scramble for dollar-based liquidity. Unfortunately, the market’s cry fell on deaf ears, apparently because the signal hadn’t yet registered in the Fed’s lagging employment and consumer-price indicators.” The result was the deflation which ensued. My sense is that Mr. Cain wants the Fed to stabilize the dollar based on watching gold’s value (keeping the gold price stable). The problem with this mindset is that our current dollar (now a virtual unit of nothing) can not be stabilized via a commodity standard (such as gold) without defining this unit (precisely) and then allowing convertibility of the unit. To stabilize our virtual dollar would require that we have an official definition of this dollar and then the market would require convertibility of this dollar at a fixed price. Does Mr. Cain understand this reality? My sense is that he doesn’t. His idea of a stable dollar that is based on a commodity standard is pure fiction (given how our current system operates in real-time). But his general idea should be discussed and considered within the halls of policy-making. His general idea has merit for discussion IMO. Later in this article, Mr. Cain complains that the Fed did not impose its quantitative easing policy until much too late (he implied that the deflationary economy which followed 2008 was the result of our Fed’s lack of action to ‘put out the fire’). He says “show me a financial crisis that happened in America while the dollar’s commodity value was stable”. Let’s think further about Mr. Cain’s view on a stable dollar via a commodity standard. Can this work without ‘tying’ (defining) the dollar to gold (and making the dollar convertible)? I don’t think so. We now have a virtual dollar which derives from the mind of bankers. Loans are made by merely typing new numbers into a client’s account. The virtual units are derived from the banker’s thinking. Quantitative easing (what I call ‘official counterfeiting’) is accomplished by typing new numbers into the SOMA account and then buying assets with these virtual dollars. Does Mr. Cain understand any of this? His so-called Commodity standard is no better than the current Professor Standard (given what has transpired since 1971). Both would merely manipulate dollar supply by subjective means. Mr. Cain concludes that the best way for the Fed to stabilize the dollar is via a commodity standard (whatever this means in practice) in contrast to the current professor’s standard (using lagging indicators). He wants to add his voice to the Fed if he gets appointed to this policy-making body so America can grow real income for the 90% who are left-out of America’s economy. I would support his goal to become part of the Fed (his ideas would promote discussion). You can read Mr. Cain’s article on page A17 of Thursday’s, April 18, Wall Street Journal. 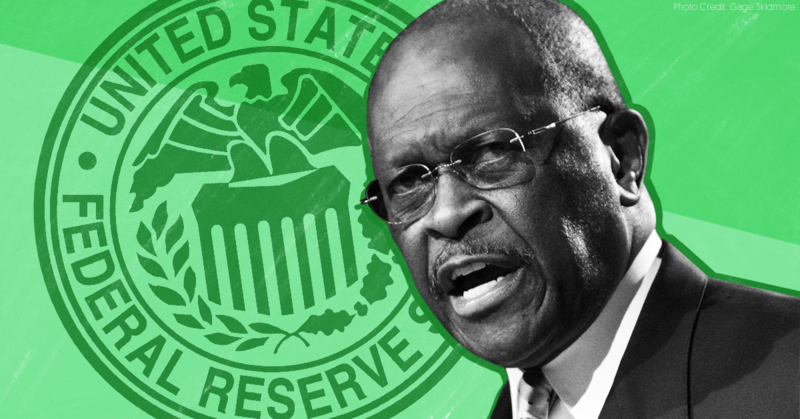 I personally hope Mr. Cain gets appointed to the Fed as he does have some good ideas overall. I do not think his so-called commodity standard idea, however, will work without making our virtual dollar a fixed weight of gold (by definition) and then allowing convertibility of the dollar within a free marketplace. My sense is that our days of dollar stability are impossible to realize given what has transpired these past 48 years since the closing of the gold window on August 15, 1971. The game of virtual money (which is now global) has changed all markets and this change can not be reversed IMO given the global nature of our internet society today. We must live with digital/cyber/virtual money until the system crashes and collapses. We can then review the history and develop a new model for the world economic system. Have a good day and let’s keep learning from what is happening within our global cyber markets. Everyone can add to the discussion on these complex issues of life. P.S. Mr. Donald Trump said recently that the Dow Index should be up another 10,000 points. 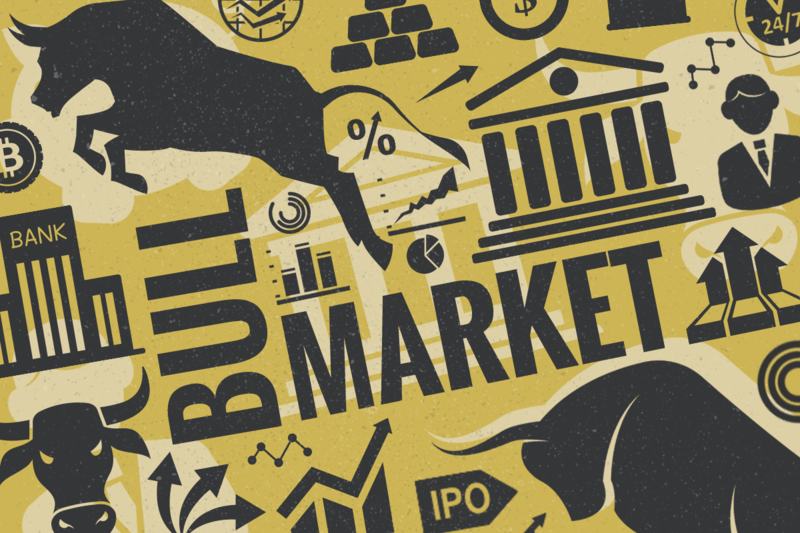 Under Trumponomics the U.S. stock markets are up some $9.1 trillion or 35.6% since his election.Trump now wants the Fed to lower interest rates and start more counterfeiting of our dollar (QE). What world does he live in? I am: https://kingdomecon.wordpress.com. One Final Flurry and Then Implosion! Our global stock markets may experience ONE final flurry upward and then the snow ball will descend from this mountain top (my view). 2019 has been historic as most of the major stock exchanges have increased from 15 – 20+%. Trade has slowed but the digits which represent our stocks have multiplied upward. Our leaders look at these digits as real wealth for the economy. Over in Venezuela the Caracas General has increased some 543% YTD even as the general economy has declined by over 50%. There digits have not worked to increase real wealth. 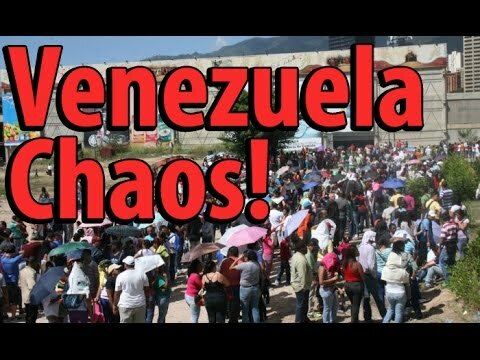 The people in Venezuela are desperate for basic goods and services (to survive) yet a few investors who buy stocks have become extremely wealthy. What a paradox. What does this mean for our world economy going forward? What I witness is gross deception and fantasy within all our fake markets. Our authorities pump up trading digits (stock indices) and think this fake wealth will keep the house of cards from imploding. What deception and fantasy within all these fake markets. Mere trading digits are viewed as real wealth. But for now it all seems to work for the benefit of those who control the system. Mr. Trump and his administration (and the West in general) desires more of this fantasy so as to grow their power over these markets and the world situation. Most of the other politicians (West and East) do likewise. The people of Yemen are dying and starving but America does not drop support of Saudi Arabia’s war machine. 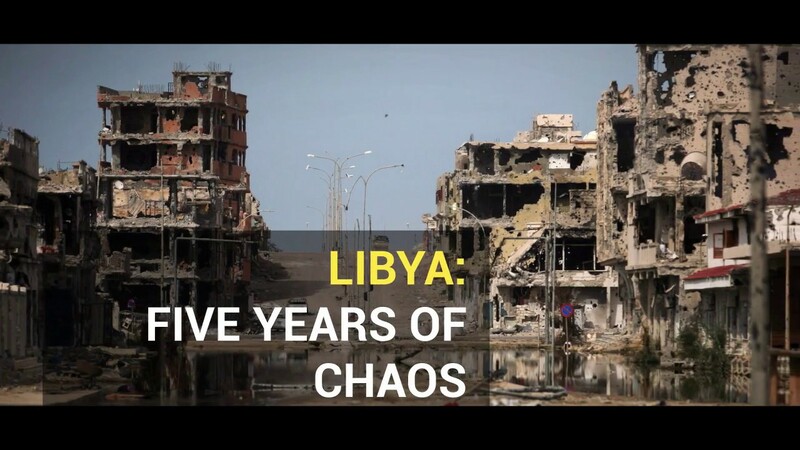 The same goes for Venezuela, Syria, Libya, Sudan, Afghanistan, and many other nations. Our system has become so corrupted that few see any solution to these real-time trends. My view is that the entire edifice is nearing its nadir. But our leaders have a contrarian views (so it seems). Our deceived politicians and some of the general public will desire more of the same until the evidence is overwhelming that the game must end. The fantasy of pumping imaginary digits (called money) up and up to benefit a few wealthy cronies must continue for now. 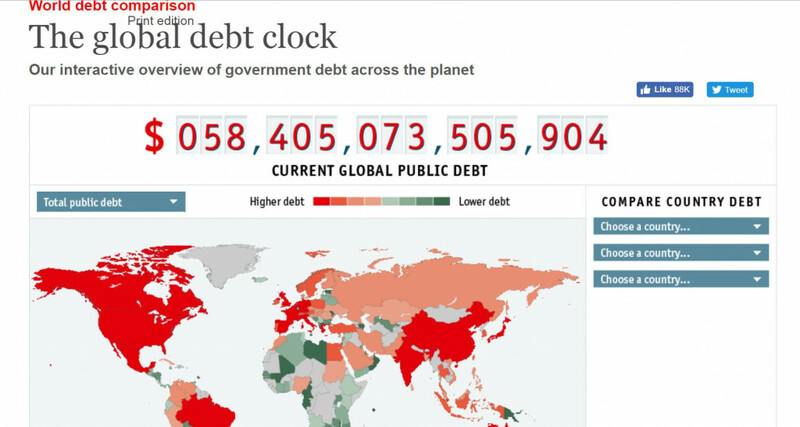 Debt must grow (exponentially) with all the new digits inserted. We could witness ONE more Ponzi explosion of money digits to pump up these fantasy stock markets before the FINAL implosion begins. 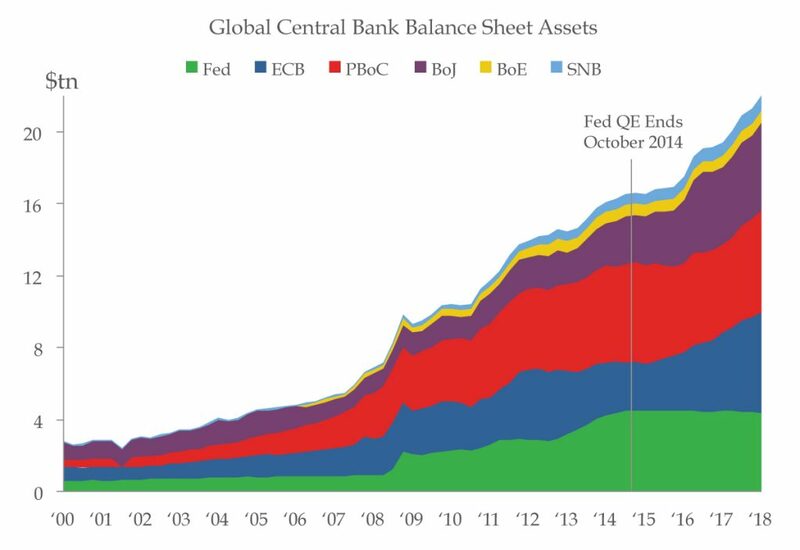 Our Central banks trade our markets and these authorities (who have unlimited digits) will likely be the catalyst which creates the FINAL explosion upward. It will likely happen some time in 2019 as stress builds within the system. The blow-off must occur before our banking authorities apply the breaks (so it seems). The Dow Index could explode up to 35,000 (or much higher) in 2019. Other indices around the globe might also explode upward as this FINAL attempt to salvage Capitalism plays out. It is obvious, to me, the real game of Capitalism is OVER. Digits in the computer screen are not real wealth. These digits are merely a ‘tool’ of the human mind. The ‘tool’ is now a fantasy and pure fakery (for those of us who discern economic reality). Our world needs NEW leadership which can focus on reality as we live it. We need a NEW model for this planet going forward. What I witness today is sickning and very sad. The mindset of our elected leaders, who refuse to seek reality, is disappointing. Our world system is crumbling and collapsing. 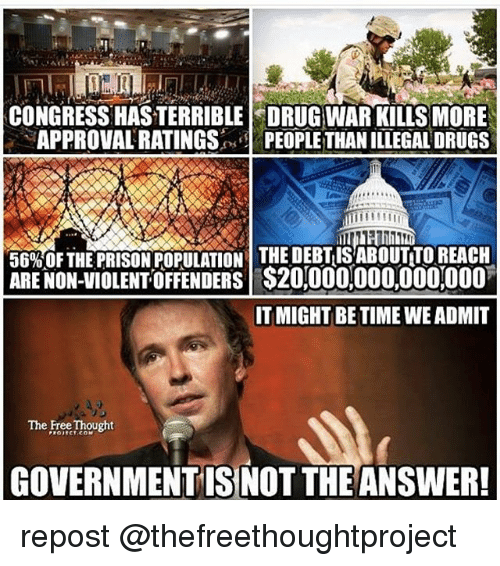 Yet, few desire to focus on the real PROBLEMS. The mindset (of our leaders is ‘don’t rock the boat’. Think positive. Accept the status quo! Our thinking must change (dramatically) if the world situation is to change and become positive for the many. Problems must be addressed and core problems must be met with a strong conviction to resolve. Kicking the can ‘down the road’ is a sad and disappointing mindset. The game of Keynesian debt and fake money must be addressed. Who wants to get real on all these issues of reality? The FUTURE is always NOW! Conclusion: Money rules over all events on this planet. Mere inner money digits (invented units of consciousness) determine who gets what and when. Along with money are the guns and missiles (the military might of a few maestro’s). Money and Might rule and no-one whats to give up POWER. What a game which we all must accept as reality. Any thinking person must dig a hole and ignore all this fantasy and corruption. Who can change the above situation? It’s a sad situation as it appears NONE of us can change the situation (as of today). We must sit back and accept the chaos and corruption for now! Getting educated is about the best one can do. 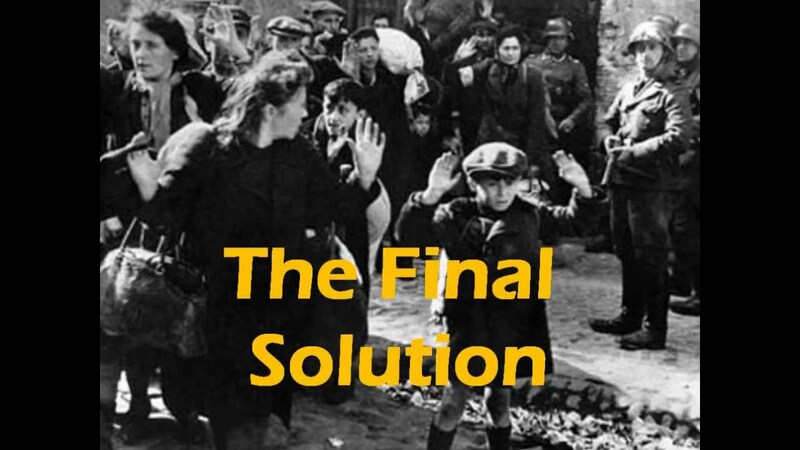 Does anyone have a final SOLUTION? Have a good day! Where Do My ‘Thoughts’ Come From? Brain or Mind? The following video gives us the current science on the question of: where do my thoughts/ideas come from? The view of our experts, called neuroscientists, is that my brain (neurons/synapses) firing in my skull is the source of my thoughts. But is this view of reality valid? My view is that it is not valid. Why? Did my brain give me my wisdom, talents, motivation, and my drive? What about my moral character and my desires? What about my race and my color? What about my view of reality on (say) money? or God? or my beliefs? Do my brain neurons/synapses and there electrical actions produce even ‘one’ word (say mama)? Personally, I do not think that a 3 pound hung of matter, no matter how detailed it might appear to my eyes can produce any of the above items. We need a better theory on this issue of reality! I agree (with the video) that the final frontier of science is the human skin (that which resides within the human skin). But my common sense says that my brain has zero capability of producing even one ‘word’. A ‘word’ is similar to a thought or an idea. It is beyond the realm of matter and my brain to create IMO. My brain must be ‘activated’ by my spirit (mind) if it is to function. A brain without a mind is dead matter. A brain which is not activated by my spirit is dead matter. Can you discern this reality? Neuroscience is attempting to explain human consciousness via brain activity. This is understandable science but I think it is bogus science. My neurons are units of matter and these units are worthless if not activated by my spirit mind. Spirit derives from ‘outside’ the human skin. Spirit is beyond the ability of science to categorize and fully comprehend. Spirit (my words/thoughts/ideas) ultimately derive from sources which science can not measure or capture. We need to think deeply about the ‘words’ that we use to describe reality. My brain is made up of billions of neurons. But these neurons are NOT me. My brain matter is NOT me. In reality, I am ‘outside’ my skin. I live beyond the body/brain. Think on this word ‘I’. Where does my ‘I’ originate? Can a neuron produce my ‘I’ (me). Can a neuron produce a ‘word’ (like mama)? Can billions of neurons produce my subjective experience as I talk, walk, and think? These questions are crucial to ponder and to answer. What about my moral character? My wisdom and understanding? My knowledge and education? My desires and my talents? To ascribe all this to my neurons seems like bogus science. I find zero evidence that my neurons can produce any of the above items. We need to think more deeply about who we are as person’s. I am a spirit being living within my human skin. My spirit, however, derives (ultimately) from outside my skin. I (we) are actually spiritual beings living ‘at effect’. Living ‘at effect’ means that I (we) are NOT in control of our destiny. We are servants of sources (spiritual sources) within the greater spiritual realm (beyond our skin). There is a higher intelligence which is beyond the human skin. I (we) live within TWO realms of reality. Words and ideas derive from the spiritual realm (ultimately). Think on this as you watch the above video. Reality is much more complex than science can measure or determine! Have a good day! I have good thoughts and sometimes I have bad (evil) thoughts! Where do all these thoughts derive from? My Brain or my Mind? Inside my skin or outside? Could this source called Satan have some validity? What do you think? Could this source called God have some validity? What do you think? Let’s Expose Some Huge Deceptions Within Christianity! Monotheism means one God (not this Trinity concept)! Is Allah another name for Yahweh/Jehovah? I need help on this! Beware of teachers who lack wisdom and discernment! There are some 33,000 Christian denominations! My study of history includes religion and I have discovered that Christianity is not homogeneous (in its thinking or its theology)…also most members of this religion have not thought through the confusing doctrines and dogma’s of this religion. This may be why there are some 33,000 different denominations within this religion (none with real credibility). Let’s expose a few beliefs which I and most biblical scholars have known about (for years) but which few church members comprehend. Did this person called Jesus (Yeshua was his Aramaic name) think that he was God (our Creator God)? This absurdity is promoted by most pastors and church members who lack understanding and wisdom. They also lack an understanding of Christian history. In reality, Yeshua, was born a Jew from the tribe of Judah. His parents worshiped the historical God of Israel, called Yahweh or Jehovah. Americans will use the ‘name’ Father for this God person. When their son, Yeshua, was born his parents (Mary and Joseph) had him circumcised on the 8th day and then they also had him dedicated to their God…Yahweh/Jehovah (Father in English and Elah in Aramaic). Yeshua grew up with this God (of his parents and Jewish history) as he went to the Temple of Yahweh in Jerusalem (regularly). The idea that Yeshua abandoned his God, Yahweh, and made himself God is ludicrous and diabolical. This never happened while this person lived on our planet. Biblical scholars recognize that Yeshua was a human being, who became a Jewish Rabbi, and also a Prophet during his brief life on this planet. Yeshua prayed to his God (Yahweh) daily and he never contemplated that he (himself) was God (absurd). This mindset developed within Christianity much later (after the death of Yeshua). Anyone who studies this history of Yeshua and his family situation should be able to discern the absurdity of him wanting to be God. So what was the Gospel (message) of this person who lived on our planet around 4 B.C. to 31 A.D.? Was it salvation from my/your sins via his death on the cross? Did Yeshua think that his death would ‘save’ me/you absolutely. This is another absurdity of Christianity. There is no biblical support for the idea that a Jewish Rabbi/Prophet can die and then assume the sins of me/you (another person) via his death experience. The fact that Yeshua died means that he himself was a sinner at the core. Only sinners (those who are unable to keep the Law of Moses absolutely) die. The wages of sin are death. Everyone dies because our moral standing before a righteous God is less than perfect. So this idea that my/your sin is wiped clean by the death of Yeshua on the cross is invalid theology. In reality, the Gospel of Yeshua was the Kingdom of his God (Jehovah). Yeshua was baptised and then he started a ministry which promoted the Kingdom of God (his God). His God was Yahweh/Jehovah/I Am. Yeshua desired that his clan of Israelites (those who he preached to) would get spiritual awareness (called being ‘born again’) so they could discern the reality of this Kingdom of his God (their God). His Gospel was the KINGDOM (not salvation from my/your sin). Christianity has it all wrong! So where did this doctrine/dogma/idea come from which promoted salvation from sin? This non-biblical idea promoting salvation from all sin via the death of a Jewish Rabbi was anathema to Torah teaching (remember there was no New Testament during the life of Yeshua…only the Hebrew Torah). This salvation idea came from this person who never knew Yeshua during his lifetime and who had no understanding of the thinking of the living Yeshua (as this person was not a disciple/follower of Yeshua while he lived on this planet). This person, called Saul of Tarsus (later Paul of Tarsus) was the culprit who promoted this salvation from all sin doctrine. Paul claims that he had a ‘vision’ from the glorified Yeshua (this Rabbi who had died and who had been glorified by his God after his spirit left his body). This so-called ‘vision’ has no real credibility as this ‘vision’ was personal to Paul’s inner self and not to any living witnesses. A ‘vision’ is an inner experience which could be invalid or partially invalid as a ‘vision’ could arrive from diabolical sources. The entire Christian belief system is mostly the result of this person called Paul and his missionary exploits and writings. Paul was not aware of the living Yeshua’s Gospel so he created a NEW GOSPEL (based on conjecture) from his inner/subjective mindset (supported by this so-called ‘vision’ experience). Yeshua’s Gospel was the Kingdom of his God (not this gospel message which a non-disciple (Paul) conjures up from his inner ‘vision’ experience. Who can know what Paul may have received via this inner ‘vision’ experience? The whole affair is rather diabolical and totally contrary to the common sense gospel of this person called Jesus/Yeshua. Most of today’s Christianity is based on the writings of this non-disciple called Paul (some 13 letters…scholars say 6 letters were inauthentic). The idea that Yeshua viewed himself as part of a theological Trinity is another inauthentic doctrine. Yeshua viewed his God as a singularity who sits on a throne in heaven (within us) with no partners of equals. Yeshua recognized his God daily via his recitation of the Shema (Hear O’ Israel, the Lord our God is ONE). He did not view his God as a Trinity where he/himself was equal with this God of Israel. This is absurd thinking. Yeshua had ONE God and this God was the historical God of Israel (called Yahweh or Jehovah by most). This Trinity doctrine is totally invalid and diabolical. I can not view three god persons as being one God. This is impossible for my mind to comprehend. I can only view ONE God as being on the heavenly THRONE. Also the word ‘Almighty God’ means that there can be ONLY one Almighty Source. 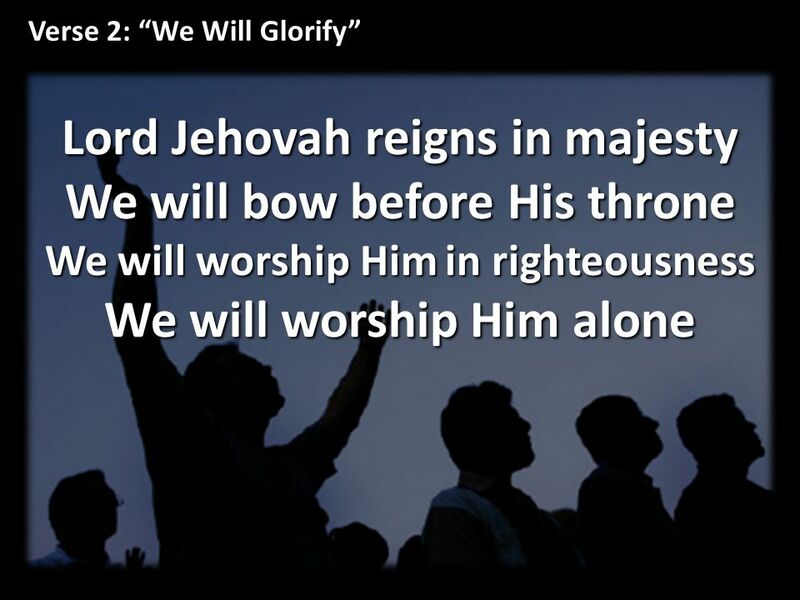 The word Almighty would have no logic (meaning) if three gods can all be sitting on a throne (as equals). Christianity is absurd when it promotes these deceptions to the public. Does this image portray that Jesus/Yeshua was God? Or does it portray his prayer to God? What was the Lord’s prayer all about? I could continue with many additional dogma’s and doctrines which are absurd to any thinking person. But I will stop at this point. I think you can discern my message. Christianity is not valid and the religion is NOT based upon the thinking or mindset of this historical person called JESUS/YESHUA. It is based upon a false messenger’s theology called PAUL of Tarsus. Everyone is living in their own sin at this moment and I know of NO Christian friend (or believer) who is without any sin as a result of their belief system (absurd). The REAL Gospel of Yeshua was the KINGDOM of God (his God called Yahweh/Jehovah). Is it time to promote this historical GOSPEL for today’s world? I think so! Real freedom derives from this GOSPEL! Have a good day! I am: https://kingdomecon.wordpress.com. Do You Know Where Your Money Is? A History to Consider! Is there such a ‘thing’ as money (anywhere)? In reality, there is no ‘thing’ within our greater material universe which goes by the ‘name’ money. The reality is that we humans ‘invent’ this concept from our inner self. The name ‘money’ used to be a tool within Capitalism that represented ‘value’. Value was viewed as ‘inherent’ within the ‘thing’ (item). Think of a silver coin as having ‘inherent’ value. Money (like a silver coin) used to be a substitute for ‘value’. I would present a product for you to buy (say a loaf of bread) and you would give me a money item (with equivalent value in exchange). Both of us were happy as this represented a ‘value for value’ exchange. As money evolved it became ‘things’ like a paper note, a silver coin, a gold coin, or a similar ‘thing’ which people viewed as having ‘value’ (or representing ‘value’). Later our government took control over this ‘thing’ and mandated that we all accept ‘faith’ money (at first faith money was a ‘thing’ printed or engraved on paper/metal but gradually this changed into virtual money). Today, the word ‘money’ is a ‘number’ created by our banking system. The ‘number’ does not exist but it works to calculate prices as the number is mandated by our government system as official legal tender. A number like $1.00 gets the name dollar. We can then calculate a price(s) with this number/name. 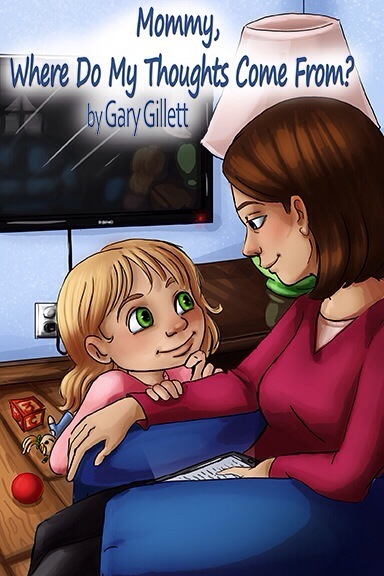 Today, we have virtual money which lives within cyberspace. I have a cyberspace account with Wells Fargo, Chase, Fidelity, and TDAmeritrade. My money consists of these virtual numbers (called dollars) which I witness in these computer accounts which were created for my use. Money has evolved into imaginary ‘numbers’ with an official ‘name’. Think of these ‘names’ as representing money (dollar, yen, pound, ruble, krona, peso, shekel, euro, dong, etc.). All these ‘names’ are virtual units and the ‘numbers’ are also virtual units. We live within a cashless world of ‘names’ and ‘numbers’ for most of our monetary transactions. All this has evolved mostly since the late 1990’s. We now need to think of our money as ‘inner’ rather than ‘outer’. Inner means that the ‘names’ and ‘numbers’ live within my/your consciousness (mind). Soon there will be no ‘outer’ money and we all will live with ‘inner’ numbers to represent ‘value’ and for the calculation of prices. Observed reality has become Virtual reality. So where is our money today? It’s living within our metaphysical mental consciousness. Our money numbers are virtual mental abstractions. I can look out at nature and observe trees, cars, houses, the sun, moon, and clouds…but I can not observe any ‘thing’ called money anywhere. Finance and money has evolved into an ‘inner’ experience of our spiritual consciousness. Can you discern this reality? It’s key to understanding our current cyber markets. Control over our virtual/inner money system is being centralized within our global banks. These banks have no objects representing money in their vaults or within their buildings. The central bank buildings are still guarded with security personnel even though the buildings have ‘nothing’ within them to steal. There are now merely electronic computers in these buildings and all the money is stored within cyberspace. Cyberspace is an ‘inner’ cloud which has no existence within time and space. I now look at my computer screen for evidence that I have money in this cyber cloud. The game of money has changed over the years from ‘outer’ to ‘inner’. 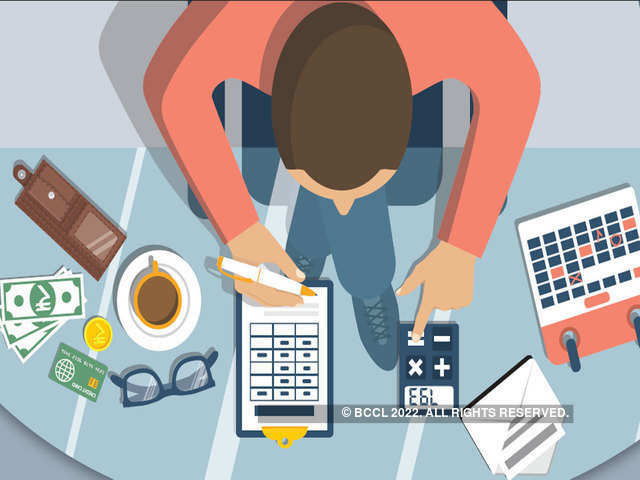 We need to think of our money today as mere ‘numbers’ in the computer screen (stored in cyberspace). All is virtual and inner. Control over these inner numbers is in the hands of a few banksters who operate behind closed doors. Where is your money? Think about looking inside your personal ‘consciousness’ for its venue. Visualize this inner space which we all have within us. Ask yourself if you have any access to this space. Where is this space called the human mind? Where does a virtual number reside (say $1.00). Who controls the issuance and supply of these virtual numbers? Who operates behind closed doors to multiply these virtual numbers? Who can trade these virtual numbers via their computer software and coded algorithms? We need to think differently going forward. Outer money has been mostly eliminated from all our markets, savings accounts, and investment accounts. The new words to think about are the following: virtual money, inner money units, cyber money units, storage in the virtual computer cloud, trading via algorithms, speed of light transmission of money units, the global flow of money, price discovery via algorithmic trading, robotic trading, automated trading, rigged markets, manipulated prices, artificial intelligence, cyber hacking, and finally the coming ‘mark of the beast’ financial system. Keep passing this education on to your financial friends. The key going forward is to think differently. Our markets have changed. Enjoy! I am: https://kingdomecon.wordpress.com.